Jensen may not be a household name to many, but they've certainly got some impressive credentials in the audio business. Founded by the inventor of the loudspeaker, Peter L. Jensen, they produce all manner of audio equipment for industries ranging from the military to automobiles. Not relevant here, you might think. Except they've just announced an interesting new addition to their modest home audio lineup, a stereo smart speaker with Chromecast built-it. The Jensen JSB-1000 is the first of its kind for the company, offering a High-Res Audio experience alongside the wireless tech. 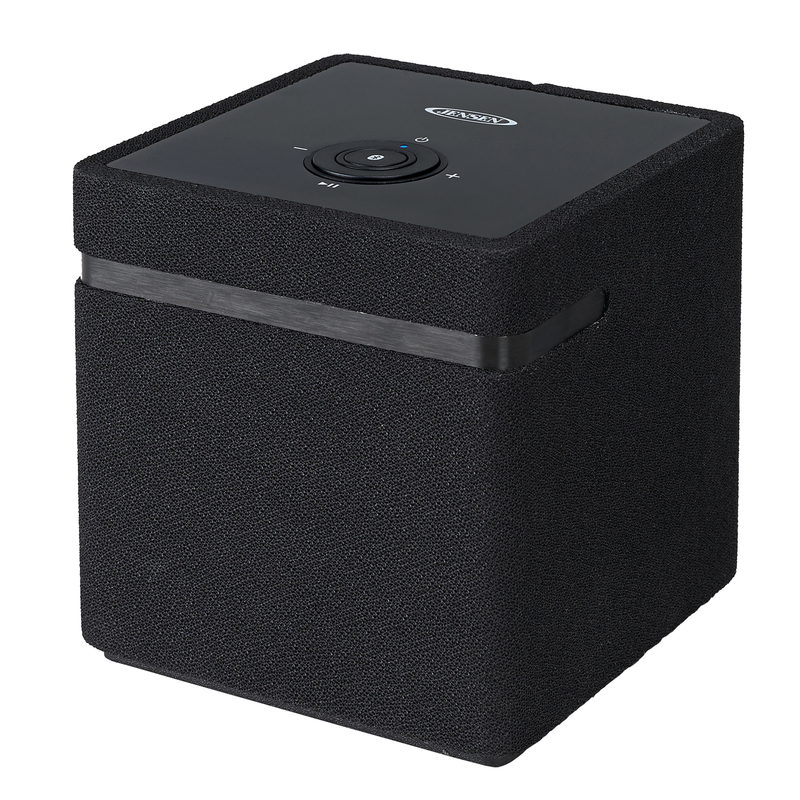 As well as Chromecast functionality, the speaker can also stream via Bluetooth or even using Spotify's Connect service. As you'd expect from a device of this kind, multi-room is also an option. If you've got the dosh, you can fill every room of your house with one and marvel as the sound follows you around. Plus, as with all Chromecast speakers, you'd have full control over playback from your phone. Specs-wise, you're looking at 2 x 15 Watts (RMS) output and it's all powered by an included 120V AC adaptor. On the back, you'll also find an auxiliary line-in jack, just in case you want to connect any devices you may have that are still stuck in the noughties. At $169.99, the Jensen JSB-1000 could be another compelling option in the Chromecast Audio space.